FRIDAY FRUMP: Where are we going for the Fourth of July? In just about a week, many Americans will begin enjoying their four-day Independence Day weekends. Where are those travelers headed? The answer may surprise you. 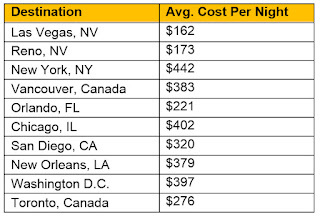 According to hotel booking platform Reservations.com, the most popular domestic summer destination for which consumers are booking hotels is Las Vegas. Why should that surprise you? It’s SUMMER, people! Las Vegas is in the middle of the desert, and it’s July. Forecast high temperatures for July 1 through 4 are 106 to 107 degrees, and the mercury has reached as high as 116 degrees on those particular dates in the past. There are hundreds of swimming pools and the hotels, casinos, restaurants and watering holes are all air conditioned, but still: 107 degrees is darned hot! I grew up in Phoenix, so I know heat. But enough of my frumping; I won’t be one of those battling to stay cool. Orlando, the home of Disney World, is the second most popular destination. Temperatures there are forecast to be in the mid- to upper 80s, accompanied by thunderstorms. But that’s summer in Florida. The third most popular destinations is, inexplicably, Reno, Nevada. The Biggest Little City in the World will become Artown for the month of July as it hosts one of the most comprehensive arts festivals in the country. But Hot August Nights, the annual classic car and rock 'n' roll show, doesn't take place for more than a month; Aug. 8 through 13, specifically. Sure, there are the casinos and nightlife, but Reno isn’t Vegas; never has been. Temperatures are forecast to be in the low to mid-90s over the long weekend. No. 4 among the most popular destinations, Myrtle Beach, S.C., is the one that makes the most sense to me. It’s a beach. Isn’t that where we’re supposed to be in the summer? The area is also home to some great golf courses for those who hit the little white ball. The forecast is for highs in the mid-80s with scattered thunderstorms for all four days. With its great music scene, Nashville, Tenn. is No. 5 on the list. Music City is particularly popular among millennials, which may account for its ranking. Forecast highs are in the upper 80s to 90, with scattered thunderstorms. Data showed that 90 percent of hotel bookings were made for weekend getaways of one to three days while only 10 percent of travelers booked extended stays of four days or more. Of those booking through Reservations.com, 54 percent used their desktop computers, 24 percent used their telephones and actually spoke to another human being, while 23 percent booked using their mobile devices. Four out of the five most popular cities for the 4th of July weekend also ranked among the top overall destinations for summer 2017. Nashville is the only one that seemed to lack staying power. 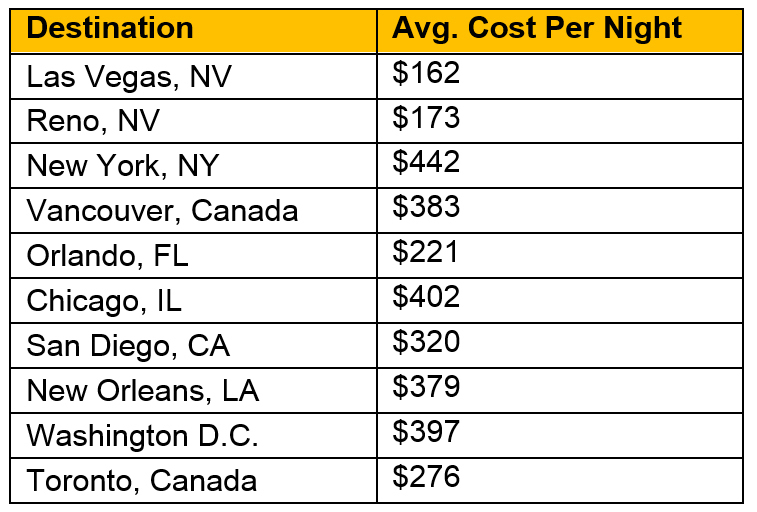 In addition, a significant number of summer travelers have also chosen to visit destinations in Canada, perhaps encouraged by the strength of the U.S. dollar compared to its Canadian counterpart. Vancouver, B.C., is the No. 4 destination for summer travel, with Toronto, Ont., at No. 10.